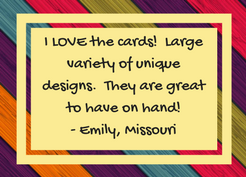 The Cards for a Cause fundraiser is a great option for teams, clubs and organizations! There are 4 sets of boxed cards that are sold for $30 per box. The organization will retain $13 per box of cards. Each keepsake box includes 30 handcrafted, beautifully embellished, individually wrapped, greeting cards for kids birthdays, all occasions and thanks & blanks. There is a low order minimum of just 15 boxes. Shipping to the organization is free. This is a creative, non-food, fundraiser for your organization. Plus, it saves your friends and family from running to the store and purchasing a $4.99 greeting card for every special occasion. It’s a win-win! 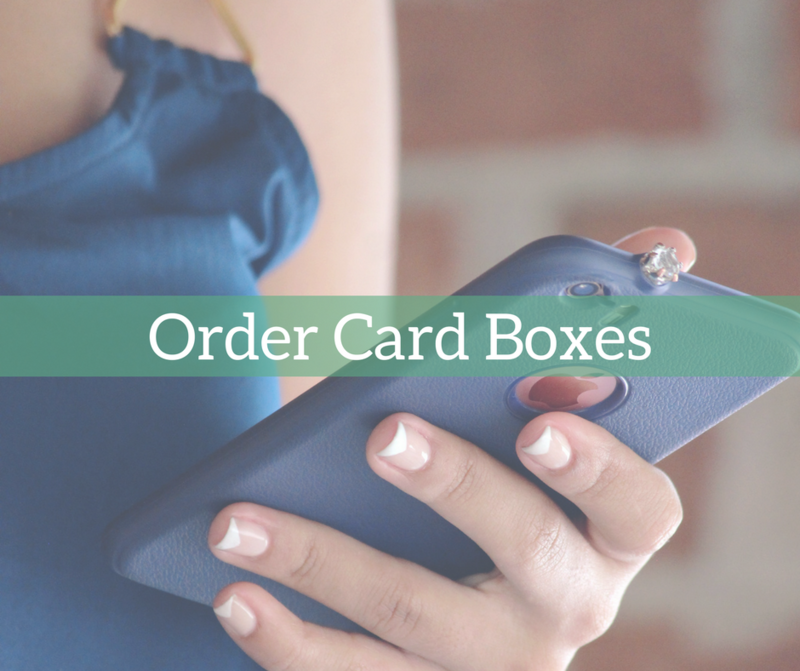 The card boxes were recently updated to include fresh, new designs, as well as a new variety of cards. The box choices are the same: All Occasion Box 1, All Occasion Box 2, Thanks & Blanks, and Kids Birthday Box. If you would like to see exactly what the new boxes and cards look like, then check out this video! Also, please refer to the FAQ section at the bottom of this page for answers to some of our most popular questions surrounding the Cards for a Cause program. 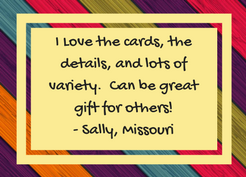 I’m excited that you are interested in more information on our Cards for a Cause Fundraiser program. Please fill out the form below, and I will send you more information and a sample card! 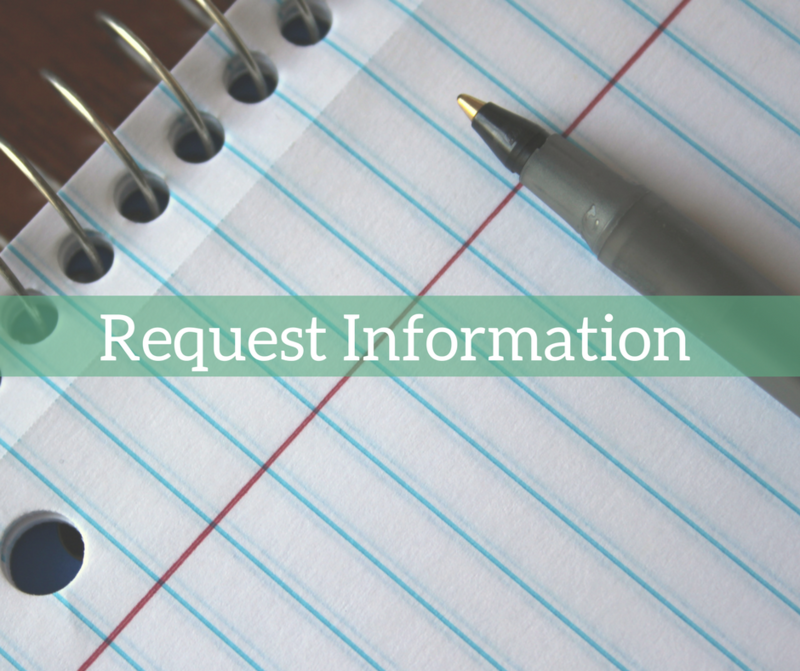 Also, check out our FAQ section for answers to some of the most common questions. 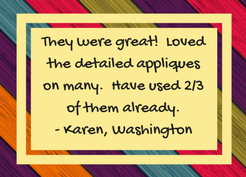 Thank you for your interest in ordering! All proceeds will be donated to the Head for the Cure Foundation. Please fill out the form below to submit your order. You will receive an invoice in your email shortly to pay for your order. Message - One box will be ordered for each type checked above, unless a different quantity is specified here. What is Cards for a Cause? Cards for a Cause is a great fundraiser option for any team, club or organization. Groups sell four 4 different card boxes for $30 each, and make a profit of $13/box! Can I purchase a box (or boxes) today? Definitely! Just fill out the order form below. How and when will I receive my box? You have two choices – Option 1: Pick up at the HFTC Expo on Saturday, August 25 (free shipping). Option 2: Box(ex) can be mailed to you this summer (you pay for shipping, around $10/box). How much does the box REALLY cost me? $30 exactly! $13 from every single box sold will go directly to Head for the Cure!!! There is no tax added to your purchase since Head for the Cure is a non-profit organization. Shipping is also free if you choose to pick up your box(es) at the Head for the Cure Expo on Saturday, August 25. You will have to pay for shipping (around $10/box) if you would like the box(es) mailed directly to your door. Where does the proceeds go? Can I choose to have the proceeds donated somewhere else? You can have the proceeds from this fundraiser donated to any Head for the Cure team. Just make sure you mention which team you would like the money donated to when you place your order. If you do not mention a team, then the money will go to “Sara’s Faith Walkers”, in memory of my sister Sara. 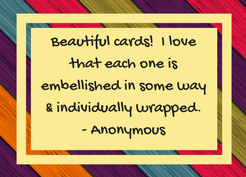 If you are interested in donating money to a different organization, please talk to me about doing a separate Cards for a Cause Fundraiser for that purpose! 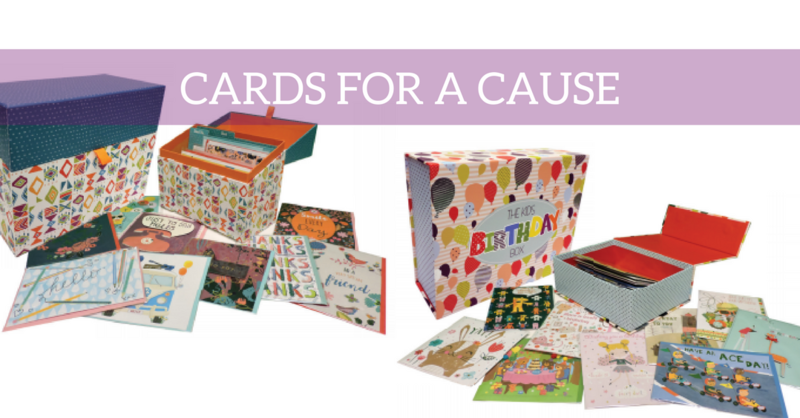 Can I have a Cards for a Cause Fundraiser for a different organization? Of course!!! Any church, club, sport, organization, or individual can hold a Cards for a Cause Fundraiser. All non-profit organizations will get to keep $13 from every box sold. If the group or individual running the fundraiser is not a non-profit organization, then tax will be taken out of the $13/box profit. Shipping is always free to any church, club, sport, organization, or individual though!